You wanted to be a DIY expert. After all, you can save a lot of money when you fix things yourself. But, after a few difficult projects, you might have thrown in the towel. Who knew that installing French doors was so difficult? But if you want to get back into the DIY mode, there are a couple of projects that you can try that won’t be ridiculously complicated, requiring 17 different tools. Here are a few projects that will increase your self-confidence in your DIY skills. Most houses could use some more hanging storage, and there are many places throughout the house where hooks are useful. For example, you could install a row of hooks in your kitchen so that you have a place to hang wet dish rags. Installation is simple. All you need to do is drill a few holes in the wall with a power drill. Then you’ll fasten each of the screws in the holes. Also, make sure you measure the distance between each of the holes for the hooks that you purchase. That way, they will line up. 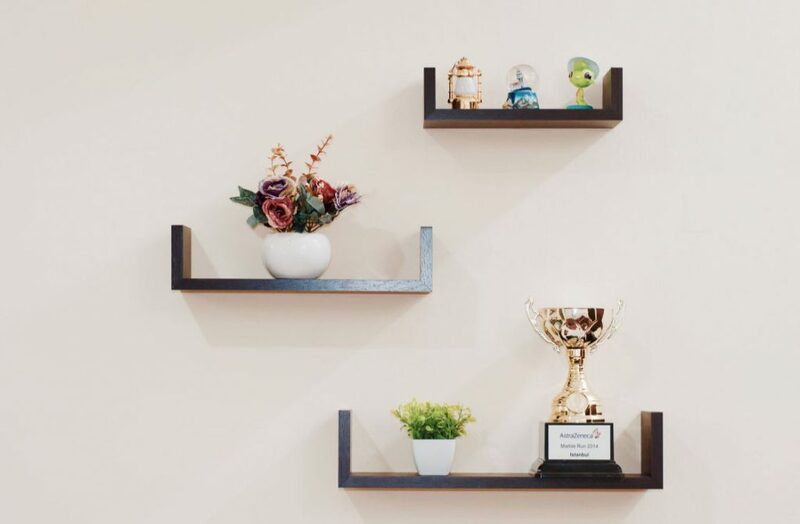 Like hooks, almost any room will benefit from a few floating shelves. They’re a great place to display your favorite dishware in the kitchen or collectibles in the living room. Most shelves come with the brackets included in the package. You’ll need to pull out your drill to make the holes, and you’ll need to purchase some anchors if they aren’t already included in the packaging. Beyond that, there’s not much else to this project, and it will enhance any room’s interior. Painting is one of those projects that almost anyone can do. It’s also a great way to add a pop of color to an otherwise bland exterior. You can even let kids in on the fun. For metal surfaces, use a rolling brush to avoid brush strokes. Pick out a color, but remember that paint tends to dry darker than what it looks like on the color swatch. Put down a painter’s cloth and take off the kick plate if you have one. Keep in mind that you’ll likely need a couple of coats. Once you’re finished, you can stand back and appreciate the exciting new color. Evergreens are a great type of tree to put between properties for privacy. The size of the hole will depend on the size of the tree that you’re starting with. Just make sure that you follow directions for spacing so that they don’t overgrow each other a few years later. You’ll also want to look up which Plant Hardiness Zone you live in, to ensure you plant a tree that will thrive in your local climate. As you have already discovered, there are some projects, such as air conditioning repair, that you should leave to the professionals. That said, there are plenty of home renovation projects that you’ll be happy you did yourself. And, with some practice, you might even conquer that French door installation.